indra de lanerolle: south africa is not keeping up! south africa is not keeping up! In discussing internet connectivity I've used the analogy of the development of the global train network in the 19th Century before. What the analogy helps to bring to the fore is how connectivity is important not only in absolute but in relative terms. Towns or countries that didn't get connected, started to be disadvantaged relative to those that did. In the case of trains, a major impact was on enabling trade (or not). In the case of the internet, its enabling communication, social networks and transfers of knowledge, ideas and information. So the issue of internet connectivity in South Africa is not (just) how far are we in getting people connected, and at what speed and price, but how connected are we in comparison to other countries. The graph above is based on World Bank data up to 2008. It shows the number of people connected per hundred people. In 1999, South Africa sat at 4.2 people per hundred, close to the world median of 4.7 per hundred. But by 2008, though the density of connections had more than doubled, South Africa's comparative performance vs the world had fallen to little more than a third of the world's internet density, with a lower figure than many other countries in the continent, including Zimbabwe, and about the same as the West Bank and Gaza. As concerning is the rate of growth. The steepness of the line running through 2008 shows the growth rate up to that time and South Africa's was slower than any of the other African countries shown in the chart. A recent study by World Wide Works indicates that this growth rate may have picked up recently, and the introduction of uncapped access also give some hope for an improvement but this is now off a low (comparative) base. Ive written before on why connectivity matters to development. But the graph itself offers a great example of why this matters. It was generated using public data explorer from google labs. I read about this tool reading Hans Rosling on the TEDblog. Professor Rosling developed Gapminder, a beautiful way of representing data which he sold to Google a few years ago. 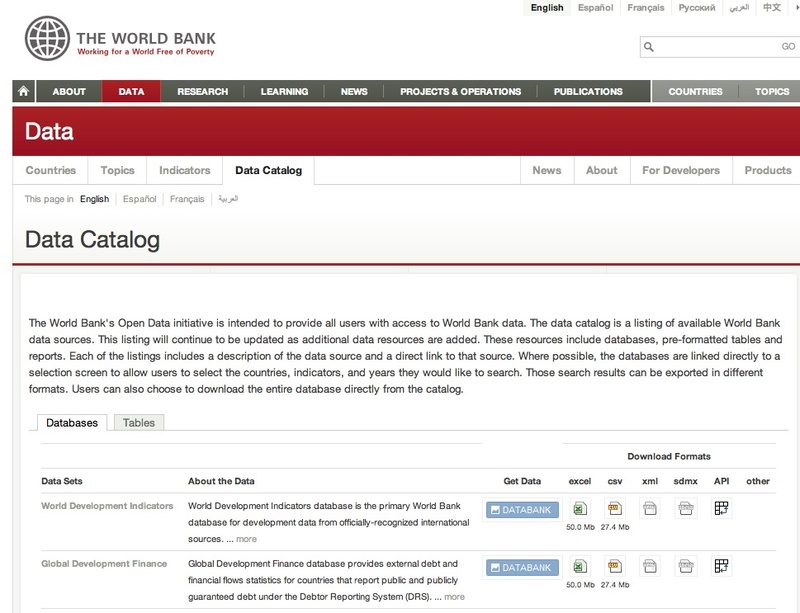 Here's some of the data above, based on world bank data again, presented using his software. I've added information on mobile density. Click on play! 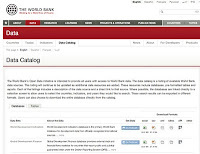 His blog mentions an exciting development that he and others campaigned for - making all the World Bank's published development data available online for free. Last week the World Bank did just this! So now (based on 2008 data), eight out of ten Americans, more than one in four Tunisians, and about the same proportion of Mauritian's can get access to some of the best data available on economic and social development in Africa. But even taking the latest ITU data into account, less than one in eight South Africans can do the same. Nice one Indra. If we look at whats happened in SA since 1994 I believe Ivy's Cummunications Dept disaester outstrips the catastrophes in education, health and social infrastructure as thebiggest crime agaist the people of SA. We could have leapt to the front of the world stage on the latest technologies and we even had policies that took that view. We were then the most connected country in Africa and now....All because Ivy and Co dithered around on everything trying to work out how they were going to make their own billion in the process and ended up pretty well doing nothing at all. Sies man.